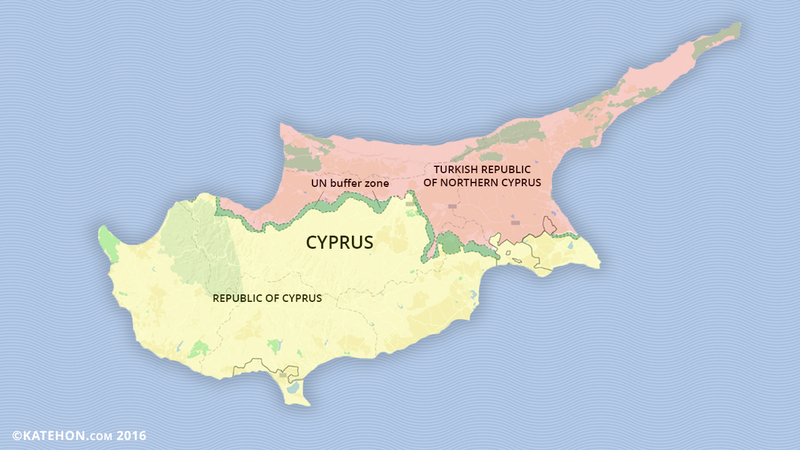 Initially the West in the United States had pushed Turkey to address the occupation of part of Cyprus. Now intermediaries like the UK are trying, together with Greece and Turkey, to be the guarantors of the peace process in Cyprus. The EU and the US also have an impact on the course of negotiations, which began on January 9th. Naturally, Turkey and Greece are full stakeholders, as it comes to their national identity, albeit in the context of the conflict on the island. A part of Cyprus was occupied by Turkish troops in accordance with the plan of Henry Kissinger in 1974. In 1983, the occupied part was proclaimed an independent republic, which was recognized only by Turkey. Between the Turkish and Greek parts, there is a United Nations safe zone. Until now, a clear plan for resolving the conflict which could satisfy both sides has not been presented. Greek Cyprus became an EU member in 2004. In the same year, the head of the UN, Kofi Annan, proposed a plan for unifying the two parts, but it has not received the approval of the Greek side, as the occupying Turkish troops remain on the island and refugee homes have been occupied by Turkish settlers. Each side is interested in maintaining control over certain areas after Cyprus is united. The Turks also require giving legal status to more than 150 thousands of Turkish settlers and the continued military presence of Turkey. And the Greeks demand the withdrawal of the Turkish troops (about 30 thousand) and the return of Greek refugees of their property, which is in the area of ​​Turkish control. Also raised will be the question of Cyprus's accession to NATO and the EU. If the first option is the most acceptable for Brussels and the United States, including a possible Turkish-Greek association in the EU, seems problematic. The Greek part of Cyprus is in the EU since 2004. Will this not mean that a part of the Turkish accession is a kind of signal to Ankara? The West also trying to prevent any Russian influence on the negotiation process. To minimize Russia's participation, the Western lobbyists promise Cyprus preferential deals on possible future production and transportation of natural gas, under the control of European and Israeli companies.